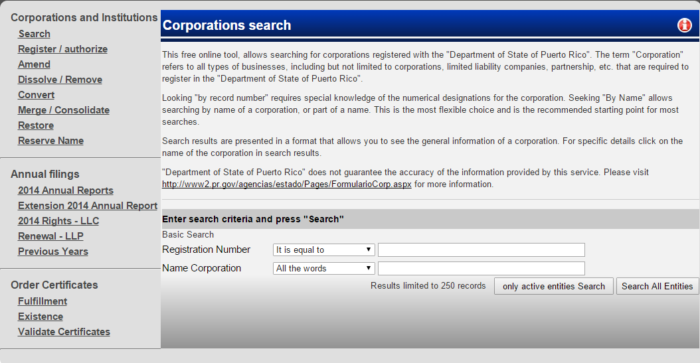 The Puerto Rico Company Registry is an office where entities are being registered. Therefore, it is where you can search for details about certain entities within the state. You may use their online search tool if you have the name of the company you want to search or its registration number. There are guidelines written below that will serve as your means to be able to search for registered business entities in the state of Puerto Rico. The first thing you need to do is click here in order to reach the search page where you can type the registered business entity you want to learn. Screenshot is provided for your reference. Once you are in the search field, it is time to key in the name or the registration of the corporation you want to search. These details are the information you need to come in handy. For instance, if you are to use the company name, all you have to do is to type its name “Fine Air” in the search box. Illustration is provided in a form of screenshot. In the search page, you can opt to search for active and running entities at the present or random entities within the state. Once you type which entities you wish to find, just click the search bar designated for your choice. After clicking, you can now see list of entities from the result page. Screenshot below will give you a clear visual about this. Detailed information is also accessible just click the name of the entity among those shown in the result page. See screenshot below to fully understand. Lieutenant Governor is also known as the Secretary of State of Puerto Rico. This post comes with great responsibilities. 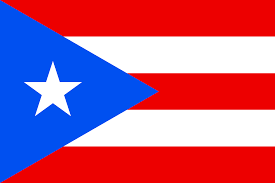 This said position is created under the Constitution of Puerto Rico while on the other hand; the Governor of the state selects the Secretary of State of Puerto Rico. In the absence of the Governor, the secretary of state will take over its responsibilities. Presently, the officer running the office of the Secretary of State is David Bernier. It is the duty of the Secretary Of State of Puerto Rico to strengthen the bond of the state with other nations. He is also required to promote the culture, education as well as the economy of the state. As of the present, the duty of the Puerto Rico Department of State has now evolved. The SOS also serves as a foreign minister which looks after the relations between states and promoting its very own state in different aspects.